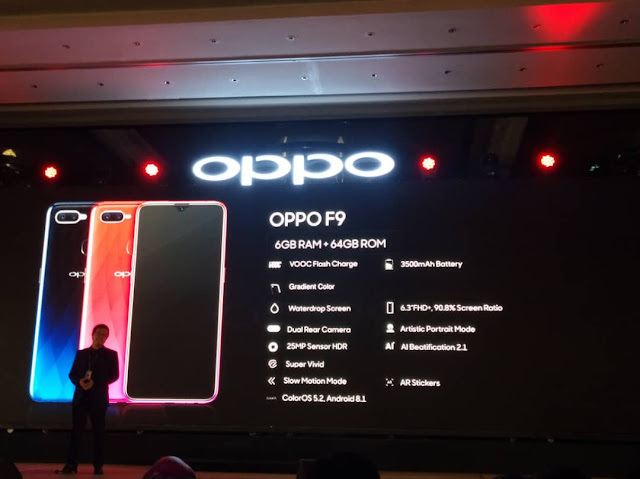 The Oppo F9 comes with an impressive 6.3-inch bezel-less screen that features a resolution of 2340x1080 FHD+ and an aspect ratio of 19.5:9, a super-high screen-to-body ratio of 90.8%. For the first time, OPPO F series is equipped with AI-enhanced dual rear cameras (16MP + 2MP). The cooperation of the two cameras helps the processor calculate the depth of field and achieve a great Bokeh effect. When it comes to shooting with the rear camera, F9 is equipped with dual cameras to catch every moment. 16 independent and 800 combined scenes can be recognized by AI Scene Recognition. 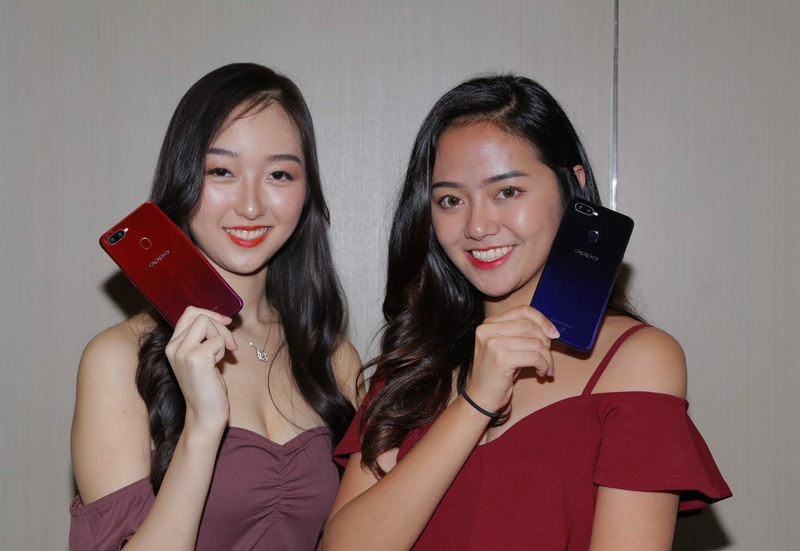 OPPO F9’s 25MP front-facing camera also does not disappoint. The re-invented 'Sensor-HDR' technology dramatically improves backlight Selfies and allows users to check high dynamic exposure live effects in real-time. Meanwhile, OPPO F9 can now accurately collect 296 feature points for each subject, referencing them against its massive database of facial images, analyzing features before making enhancements, customized for each subject. The AI Beauty Technology can provide users with 8 million of different beautification effects in that personalized (selfies are more attractive while keeping the natural look of each human subject). Additionally, OPPO F9 supports multiple interesting camera features such as AR Stickers, vivid mode and slow motion video. 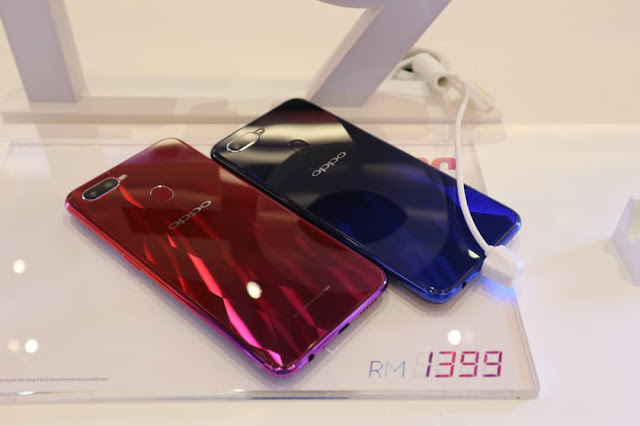 The OPPO F9 is now for RM1399. 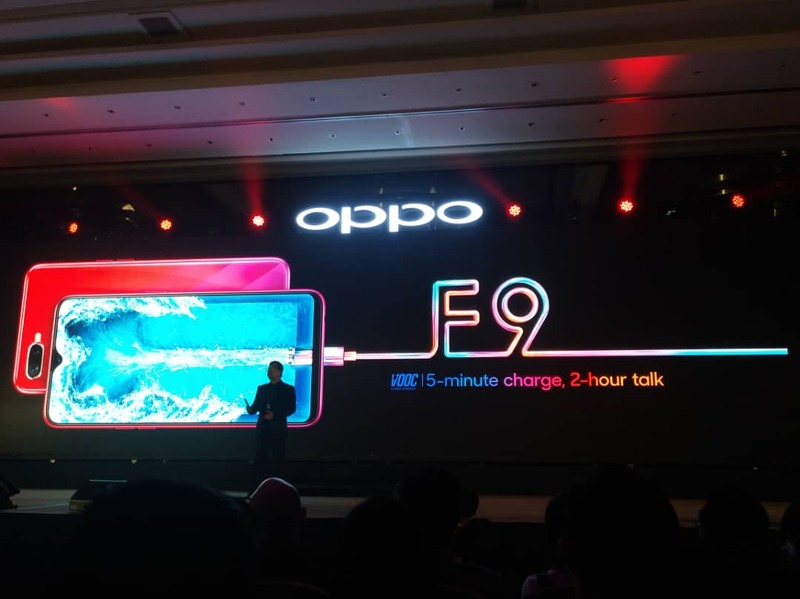 The OPPO F9 will be available to pre-order from 16th August 2018 till 29 August 2018 either offline at OPPO official concept stores, autorised dealer stores,Celcom Blue Cube, Senheng and senQ as alternatives. or online at the OPPO Official website, Lazada, 11Street and Shopee. Pre-order customers may collect their OPPO F9 during its first sales day on 30th August 2018. Moreover, anyone who placed pre-order from any platforms will stand a chance to win a RM999 lucky draw cash reward during its first sale day on 30th August 2018, subject to terms and conditions.